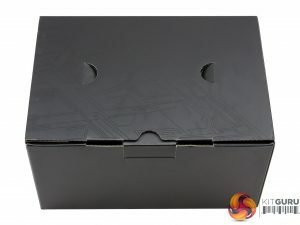 The box uses a dark background and its front side, however the model description along with its capacity are highlighted. 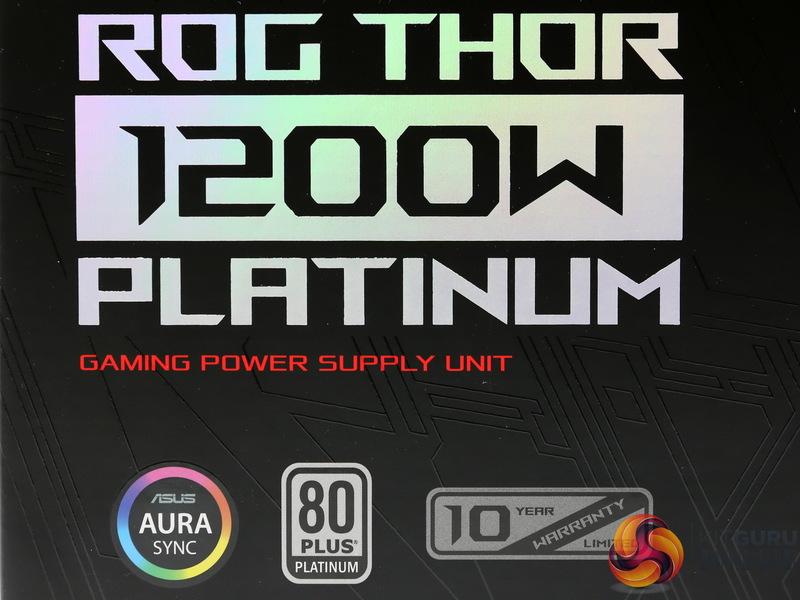 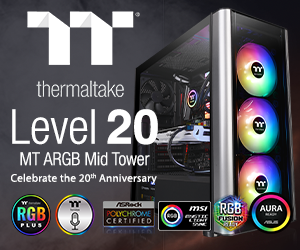 In the bottom left corner the three icons describe the Aura Sync, the ten-year warranty and the 80 PLUS Platinum efficiency. 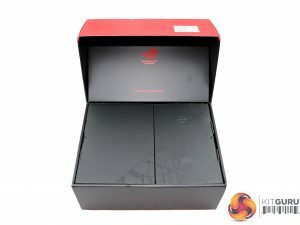 It is a shame that the Cybenetics badges are missing, since they could help future buyers to check on this unit’s output noise as well, besides the more accurate efficiency classification. 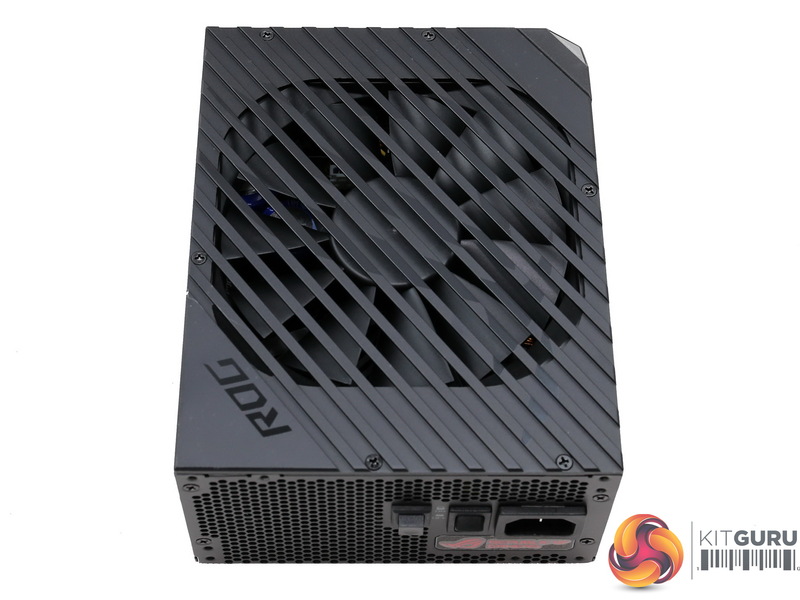 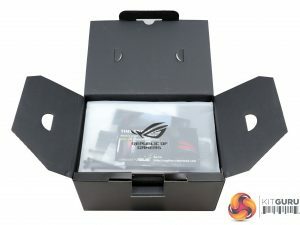 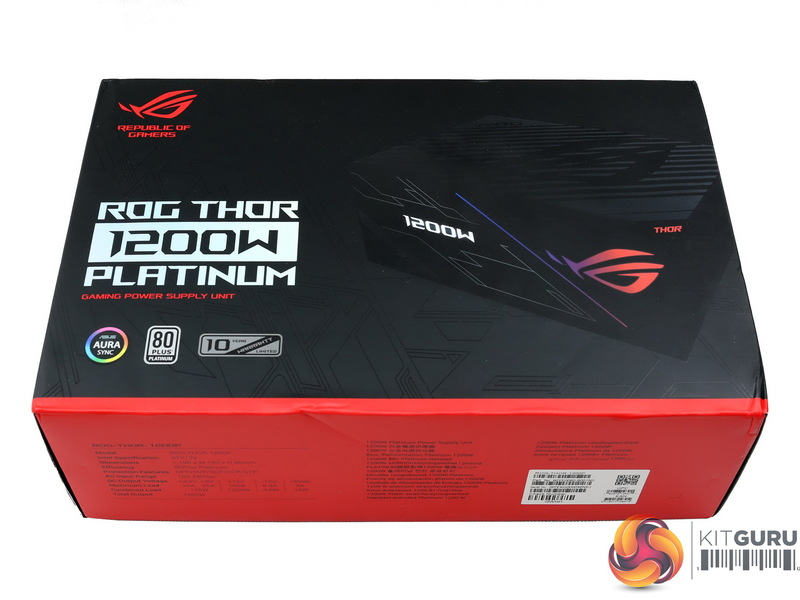 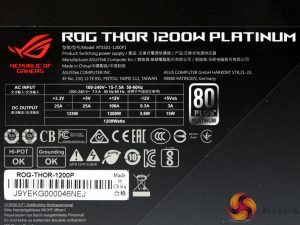 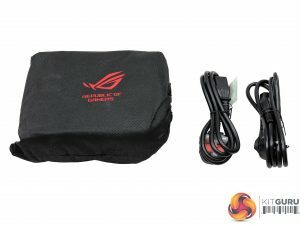 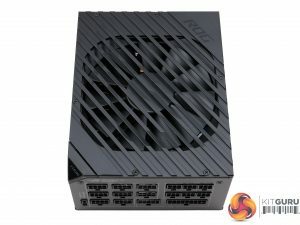 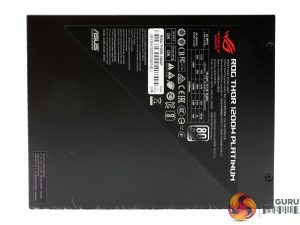 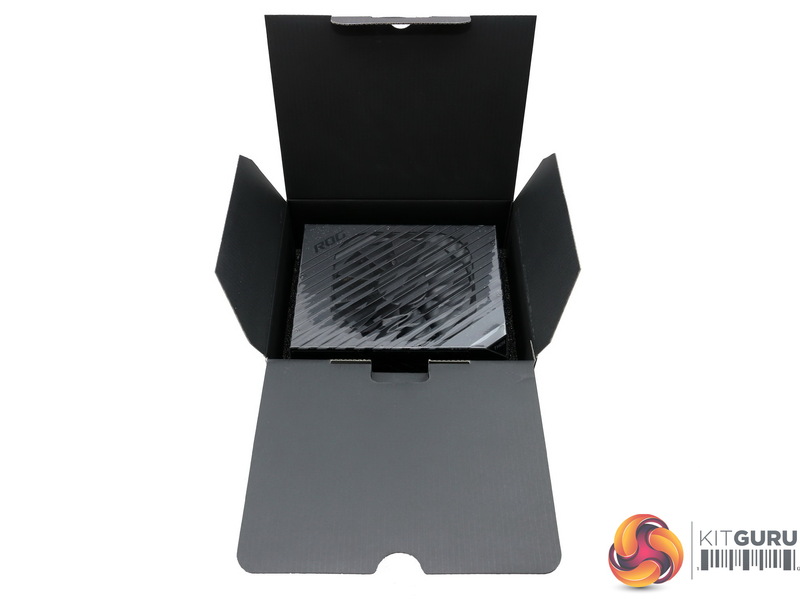 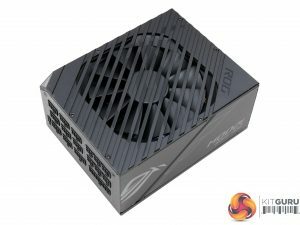 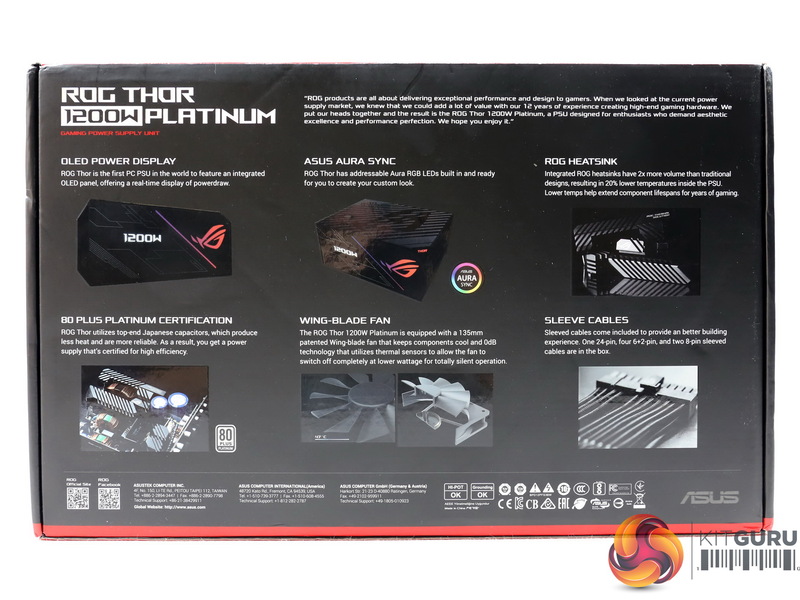 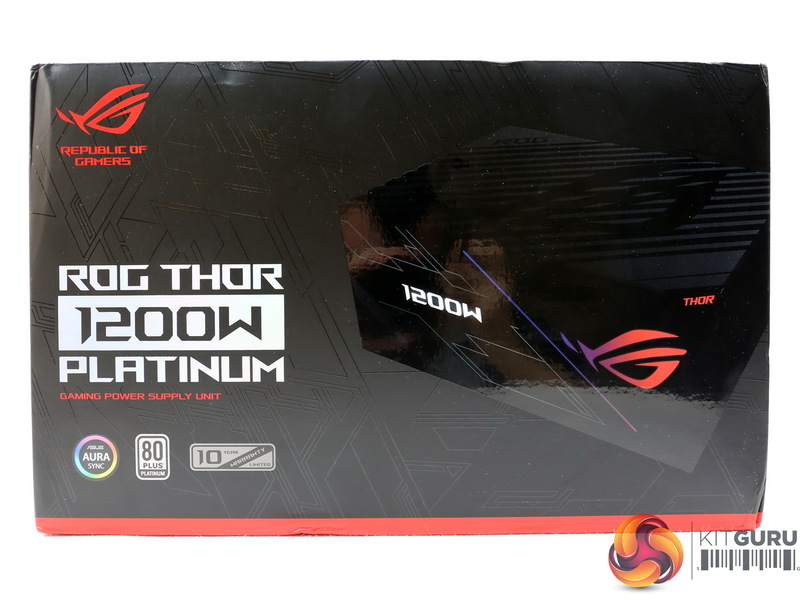 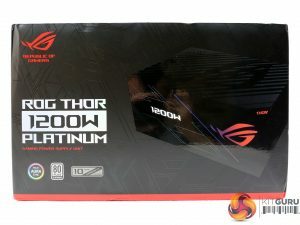 The model description is also provided on the sides of the box, while in the back side Asus mentions the most important features including the OLED display, the RGB lighting, the individually sleeved cables and the large heatsinks used at this unit’s internals. The contents are nicely arranged, with the PSU being installed in a smaller box featuring adequate protection at its internals. 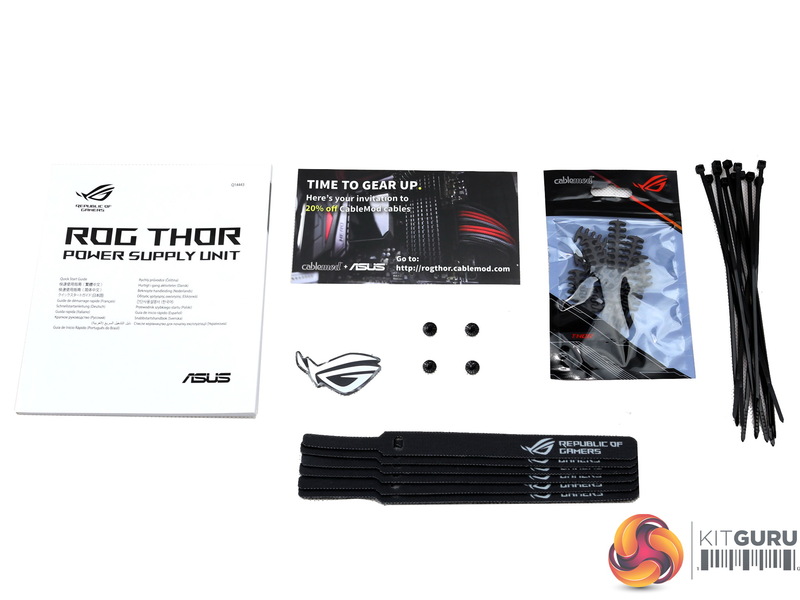 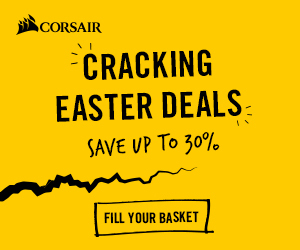 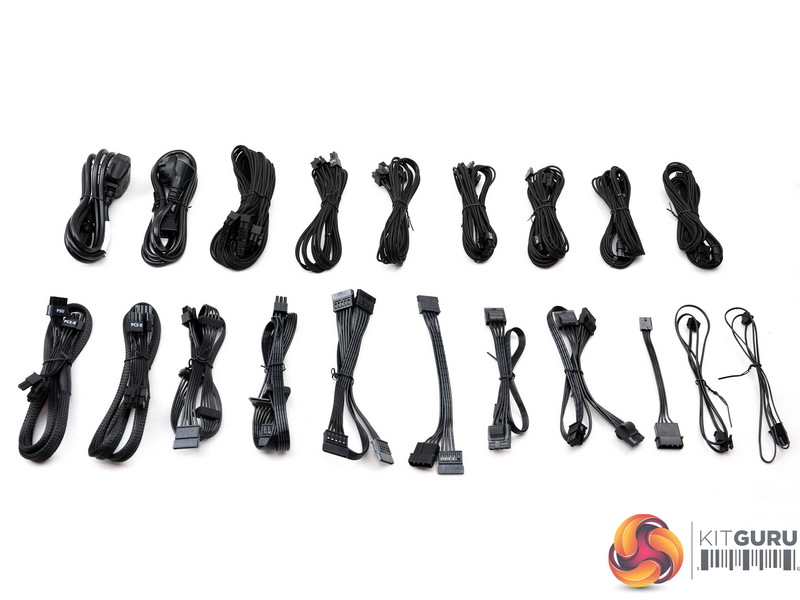 Besides the user’s manual the bundle includes zip ties, several Velcro straps, a ROG sticker, a set of fixing bolts and a number of cable combs which will help you arrange better the individually sleeved cables. 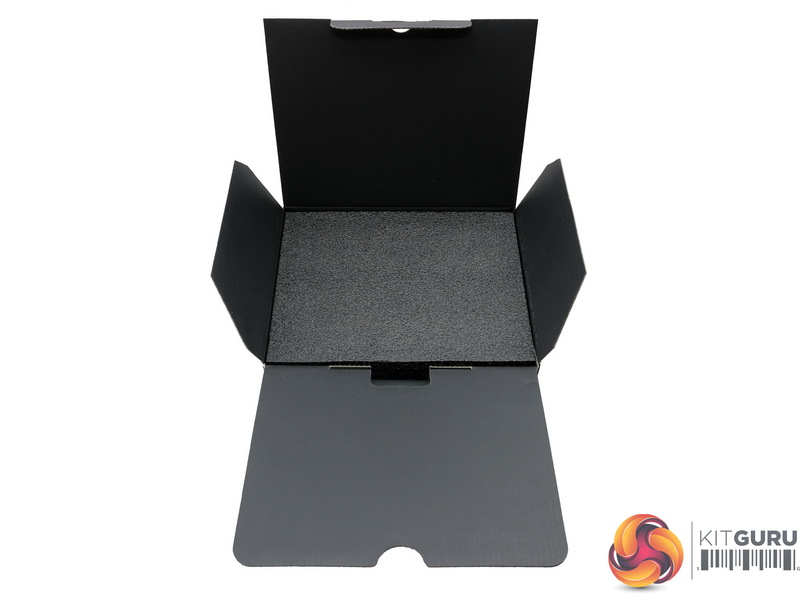 The external design is nice and on top of that it is distinctive. 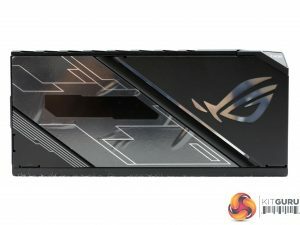 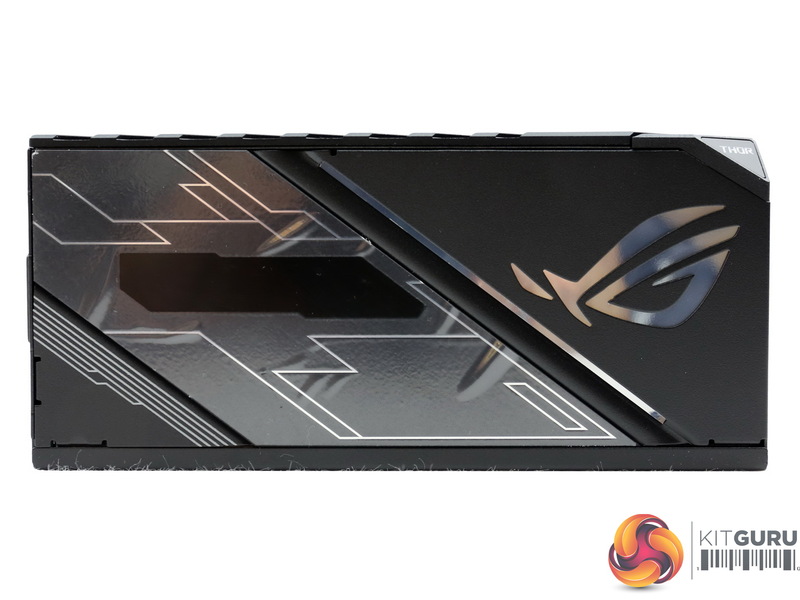 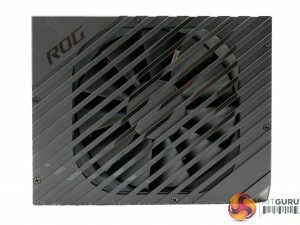 We didn’t expect a plain design from a ROG product. 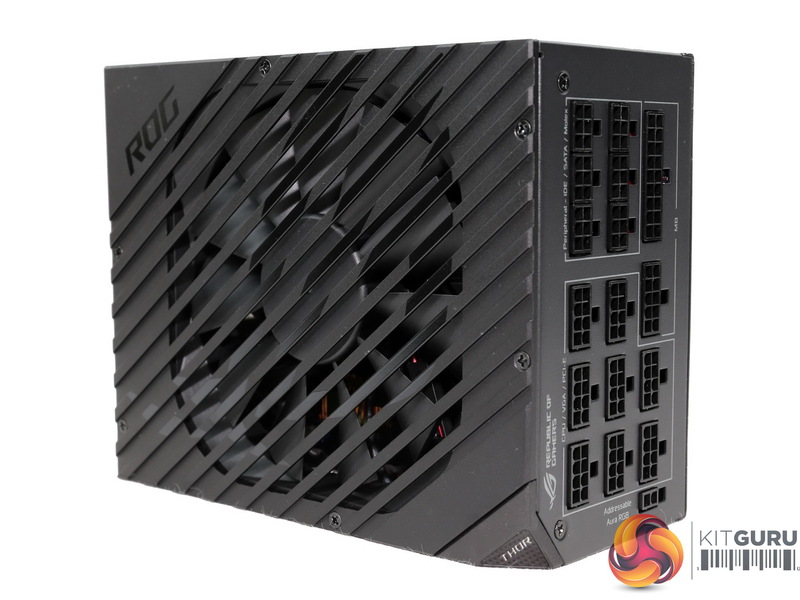 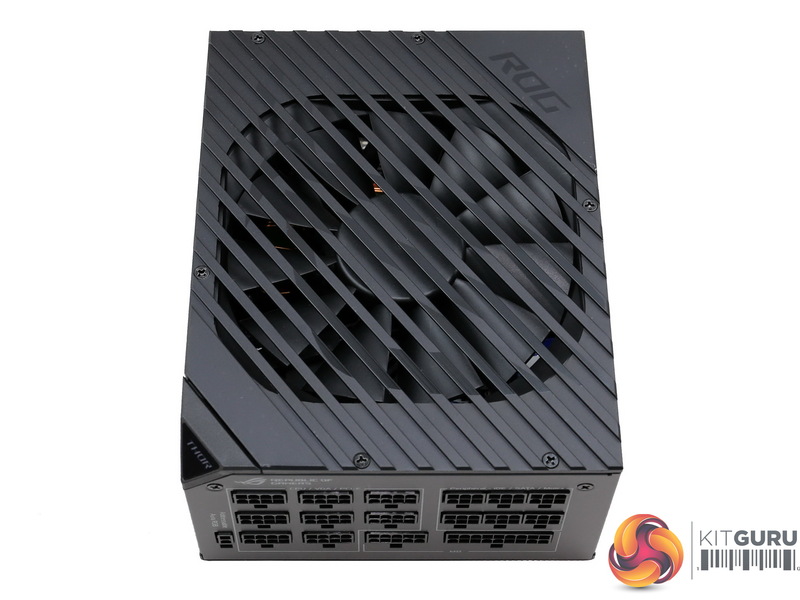 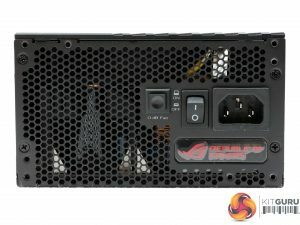 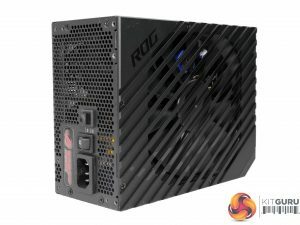 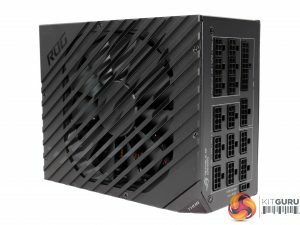 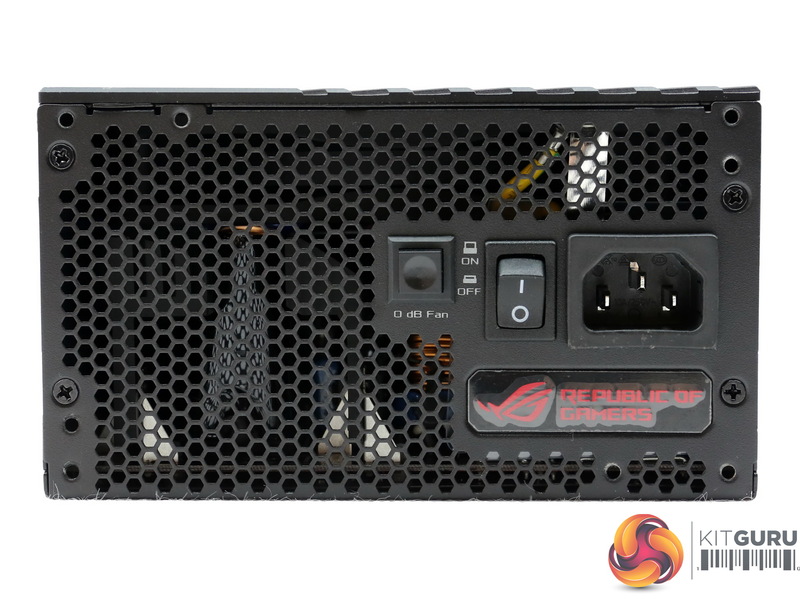 The only common part in this power supply is the front exhaust grille, which uses the typical honeycomb-design. 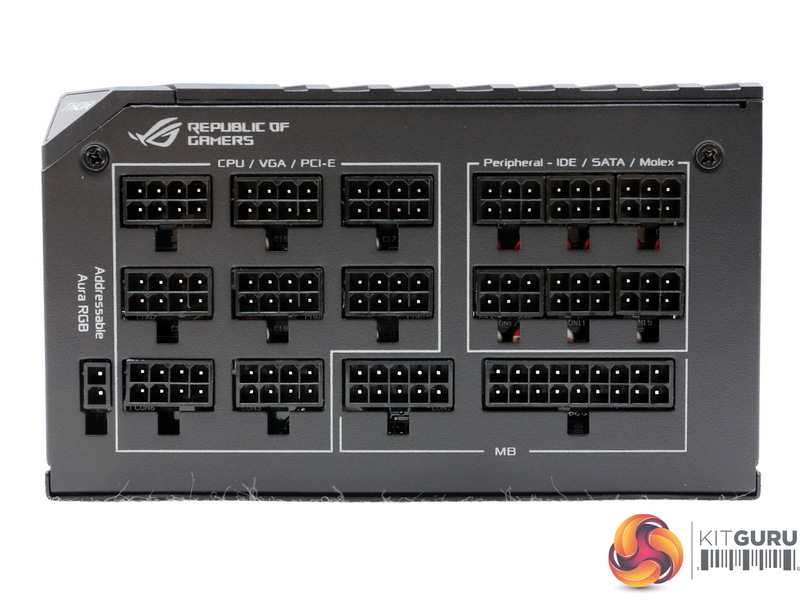 Besides the power switch we also find a push button, for toggling on/off the semi-passive operation. 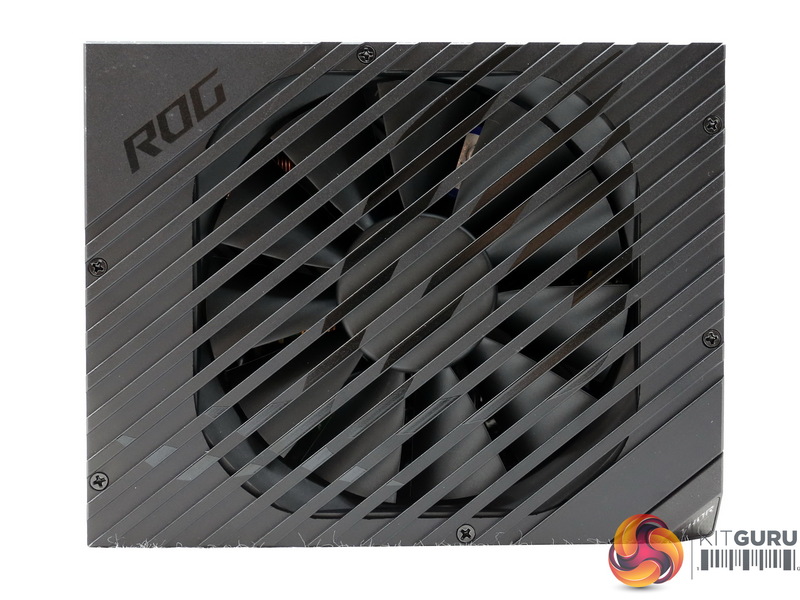 The OLED screen is installed on the side. The whole concept looks great, reminding us of a space craft console, thanks to the silver stickers. 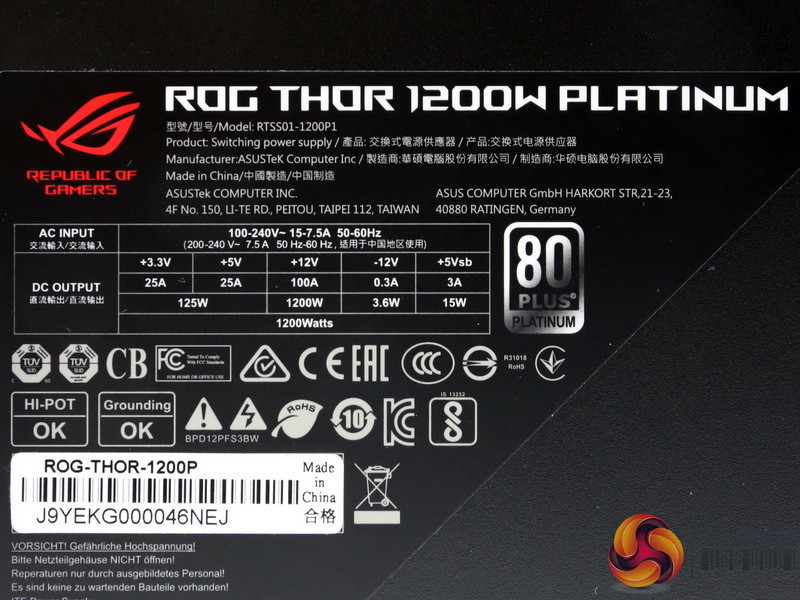 The power specifications label is installed at the bottom side and among others it depicts the product’s serial number. 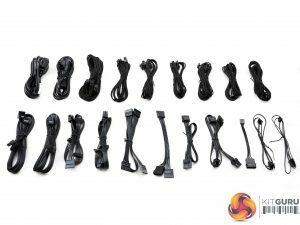 The modular panel hosts seventeen sockets! 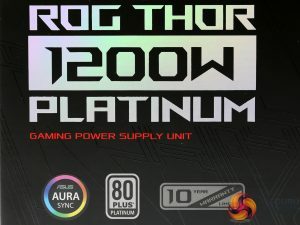 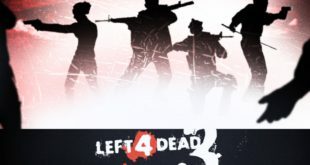 Moreover, in the top-left corner is a “Thor’ sign which is nicely lit by the RGB LEDs. 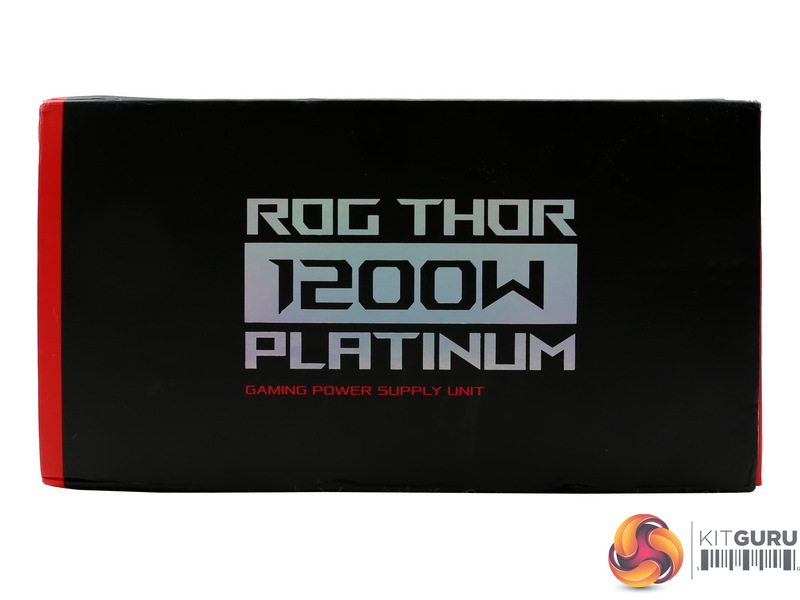 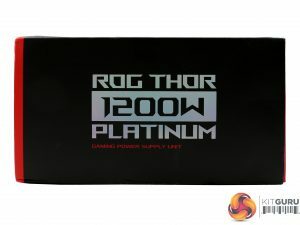 The dimensions are large, however the Thor unit looks nice and after all it is a 1.2kW power supply, clearly destined for large chassis (or bench tables).